THE DISCOVERY OF EUROPEAN OLDEST KEY MASTER CRAFTSMANS A journey to the discovery of the greatest and most complete private collection of keys in Europe. Artifacts of different epochs coming from all four corners of the world kept at Keyline, reality of reference in the world of the manufacturing and duplication of technologically evolved keys. A journey to the discovery of two souls in strong contrast and, at the same time, in full tuning between them: tradition and modernity, innovation and memory, museum and factory. Thus, the Massimo Bianchi Museum is born inside Keyline: to bring the history of by now eight generations of entrepreneurs in whose blood flows the iron, that is forged in the smithy of Cibiana and that is used for giving keys life of every form and color according to the most modern technologies today. From this match the greatest private collection in Europe of keys was born coming from all four corners of the world, beginning from the first century After Christ, to the dawns of the Roman empire. All this inside a firm, Keyline, that represents the excellence of a centuries-old tradition in the "key business" started in 1770 with the job of key master craftsman Matteo Bianchi and handed down from father to child, up to the work of Camillo Bianchi, pioneer-innovator of the keys duplication system in the very following years to the second world conflict and comes to our days, with Keyline. From firm barely more than handcrafted, in the turn of three years Keyline is confirmed a real industrial enterprise able to build all over the world today a known brand in the global context of the planning and manufacturing of keys and electronic and mechanical key cutting machines, thanks also to its subsidiaries in Germany, United States and China, UK. With its unique professional competence in the key sector, Keyline operates with success and continuity in the global context, offering new products and new solutions of service, able to run into the demands of every client, actually pushing itself up to the most distant markets. 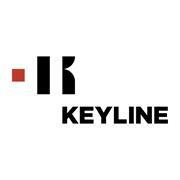 Keyline S.p.A, located in Conegliano in the province of Treviso, is an innovative firm that operates in the competitive global sector of key production and electronic and mechanical key cutting machines. It is a leader in the transponder technology sector and a point of reference in the R&D of new products and services for the key duplication experts. Keyline belongs to the Bianchi Group 1770, where it represents the strategic and technological center in key production as well as the planning and manufacturing of key cutting machines. With Keyline the Bianchi family has brought forth its own bicentennial tradition in the key business, with an evolution that started in 1770 and has been handed down from father to child, based on the effort of Camillo Bianchi, a pioneer and innovator of key cutting machines in the years immediately following the Second World War. Active for many years in the international markets including subsidiaries in Germany, United Kingdom, United States and China, Keyline remains strongly tied to the culture of the territory and to the supply chain situated entirely in Veneto. Thanks to advanced technological capabilities, Keyline has created important partnerships with automotive market leaders, transponder suppliers and customized key cutting machines produced for the American market. Keyline invests more than the 10% of its annual turnover in the R&D division that works on technology and product innovation, industrial planning, experimentation and application of trials, and strategic planning. Keyline operates with the certified Quality System in conformity with the norm UNI EN ISO 9001: Vision 2008 and is collaborating with the Veneto Region and with the Regional Social Politics observatory for the international audit certification for the conciliation of Family & Work.